My old cellphone was a Nokia 5100, S40 Series. 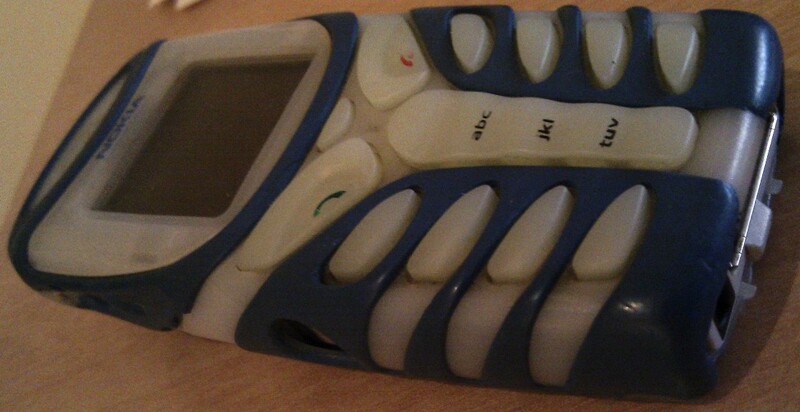 It had an 128x128px screen and ran on Nokia's MIDP 2.0 framework to J2ME. 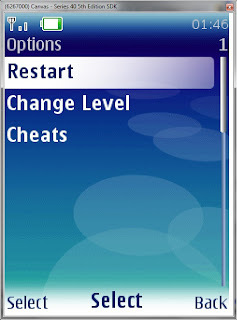 But, well there was a time when I created a small game so I could learn J2ME. I was just on my freshman year at ISEP, so my programming skills where still on it's early stages. But, the main idea was to learn J2ME and to create something other than academic projects that could be used in my life. 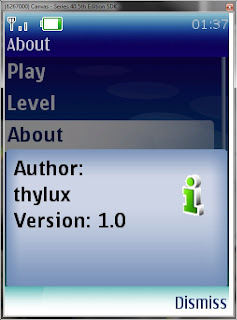 In order to show some images of that game, I downloaded an emulator from Nokia, but the standards have changed a lot since then (8 years of technology), so I couldn't get full compatibility. 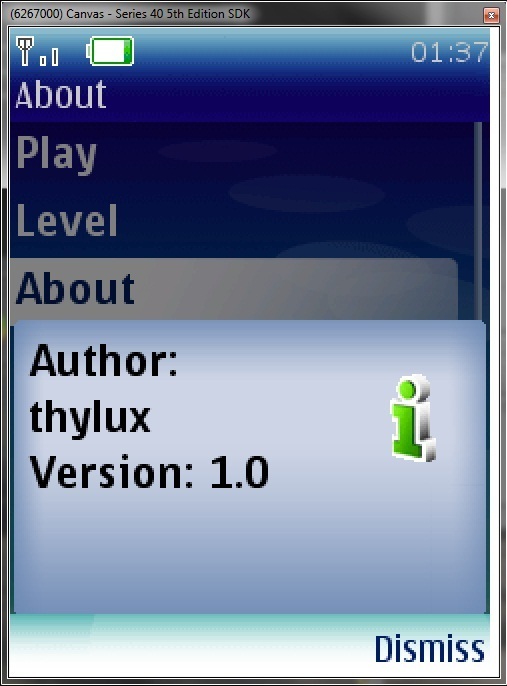 The standard screen has a higher resolution and the OS is very different. 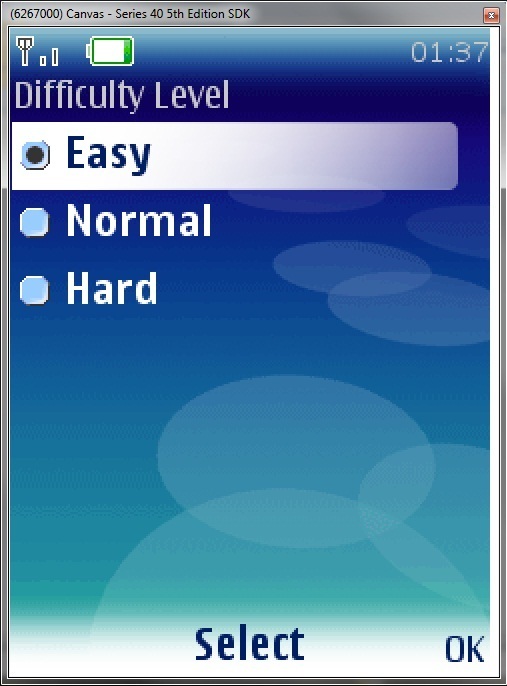 This was the entry screen. 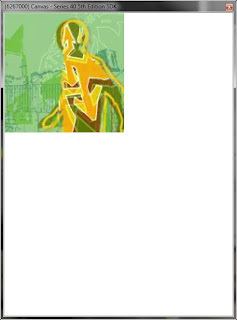 The image was from Nokia's SDK resources. 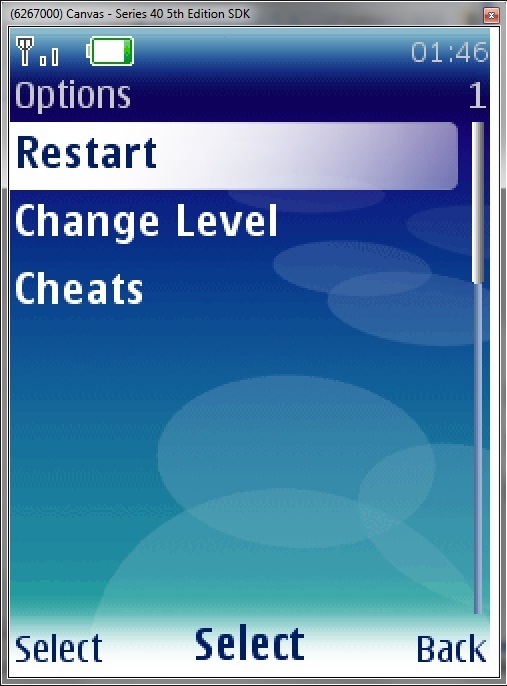 This was the main menu. On my cell I would only see text. 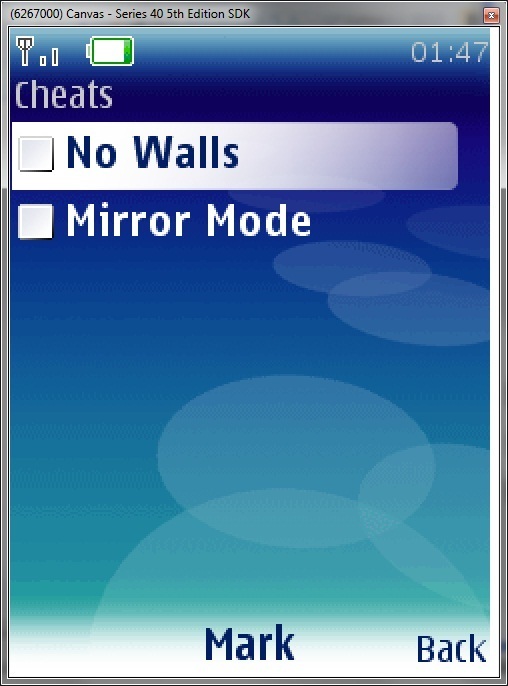 The Cheat screen. 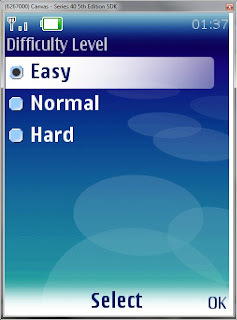 We could activate the ability to cross the screen borders or the added difficulty of reversing the controls. 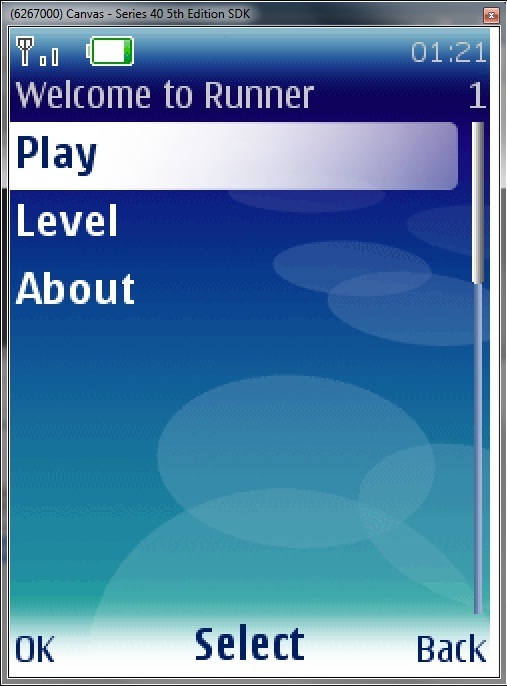 The game screen. 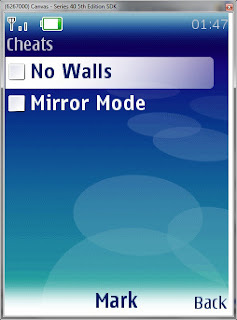 On my cell it would be full screen. 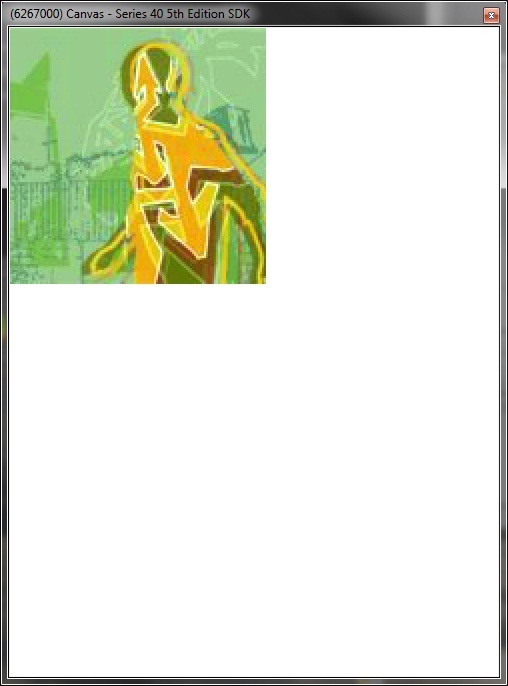 The weird square on the top left is an 128x128px image resource as the background of the game screen. 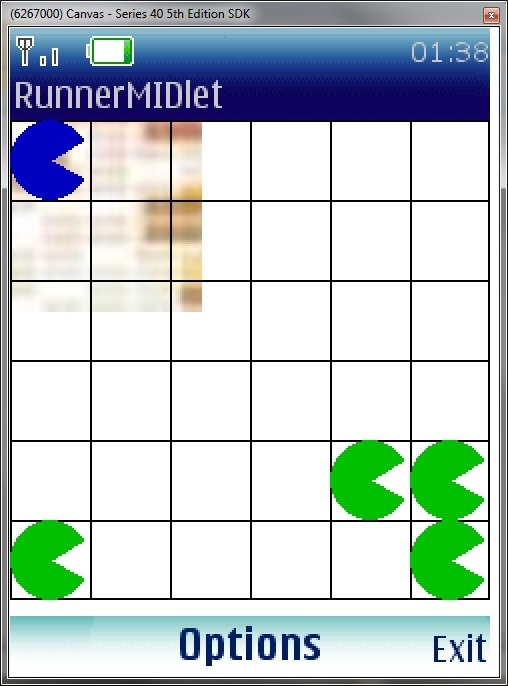 As you can see I couldn't configure the emulator to use the same resolution as my cellphone. 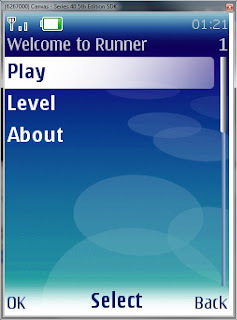 Besides the background image, all the screen is designed on-the-run. The players are geometrical shapes and the grid is built according to the screen resolution.